Not the lovely, talented creator of said diet, and not the nice Russian man who took my blood sample at the lab. Not even my thyroid doctor, who is the person who wrote the prescription for the blood work (and is therefore obviously responsible for the results). Obviously not me, because I was eating nothing but leaves and organic meat during the phase when I had blood drawn. But someone is going to pay, somewhere, and when I find out who it is, I’ll let you know. But enough of the ancestors. My problem right now is trying to get a straight answer out of someone, in terms of what to do next. 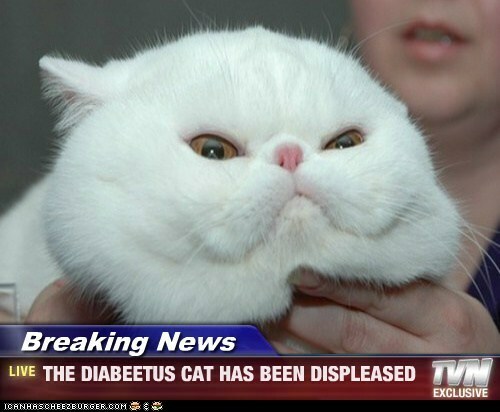 My regular doctor says my A1-C is fine, and that I don’t have diabetes. My thyroid doctor says, well, let me see if I can remember the quote. It went something like, “You’re fine … today. I mean, you’re not going to keel over next year, or anything.” He wasn’t thrilled with consistent fasting sugars around the 100 mark, though, and neither am I. The problem is, once you’re losing weight and monitoring your labs and trying, as Monty Python once advised us, to get some walking in, there’s not much you can do with a slightly too-high sugar. Eat cinnamon, I guess. My thyroid doc advised that, and I’ve heard it can help. Also, cinnamon is delicious. I bet my ancestors would be delighted at that prescription, if they could get their hands on it. That would be just like my liver. I don’t want to pick on it, because God knows it has a hard job, but really. So did she eat more sugar? Or more protein? Protein. She doesn’t eat a lot of meat, so she started putting protein powder in smoothies.